PhytoPlan is a spray dried blend of several strains of phytoplankton. 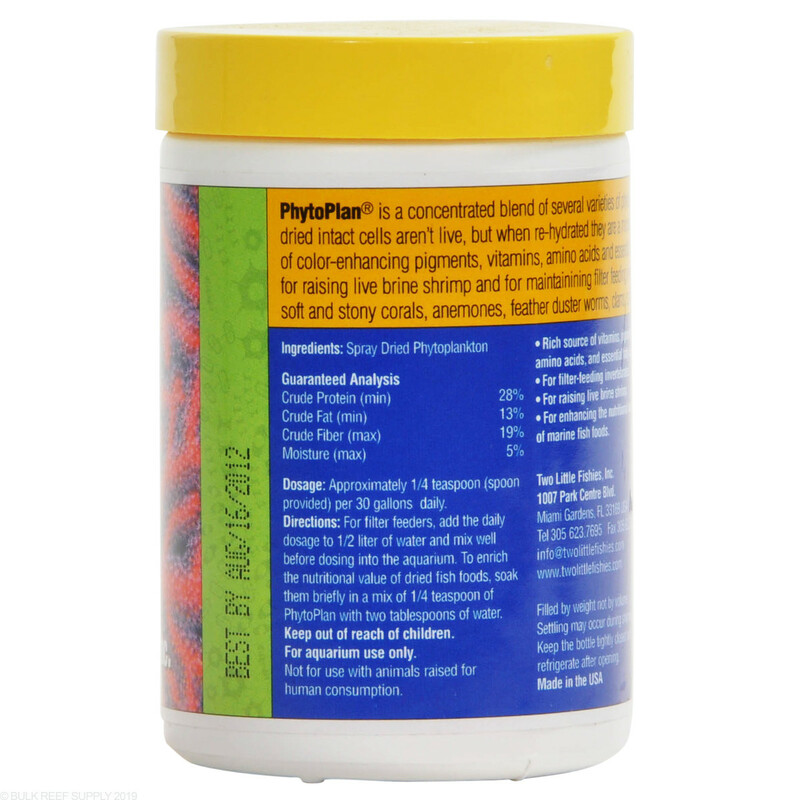 PhytoPlan may be used as food for filter feeding invertebrates and as a supplement to enrich the nutritional value of dried and frozen fish foods, or live Artemia. 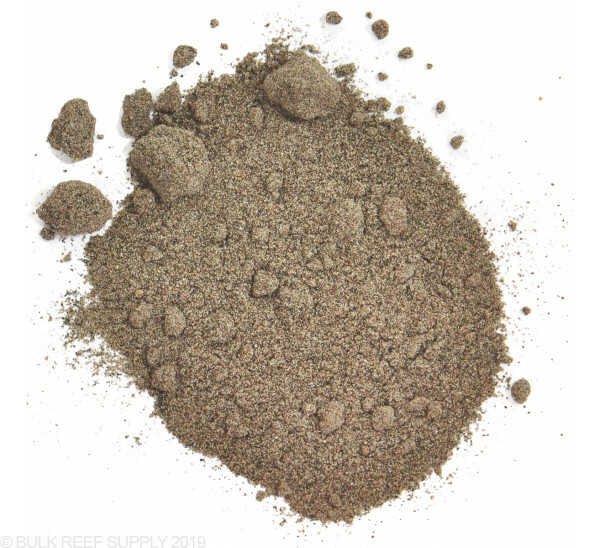 Rich in vitamins, trace elements, amino acids, and highly unsaturated fatty acids. 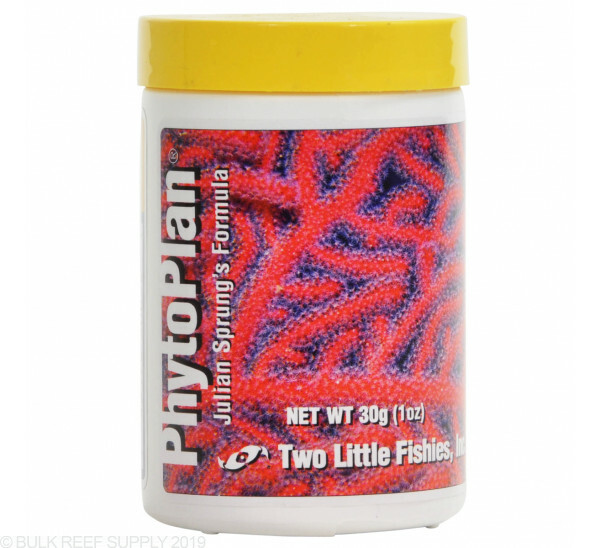 Two Little Fishies PhytoPlan is a spray dried blend of several strains of phytoplankton. 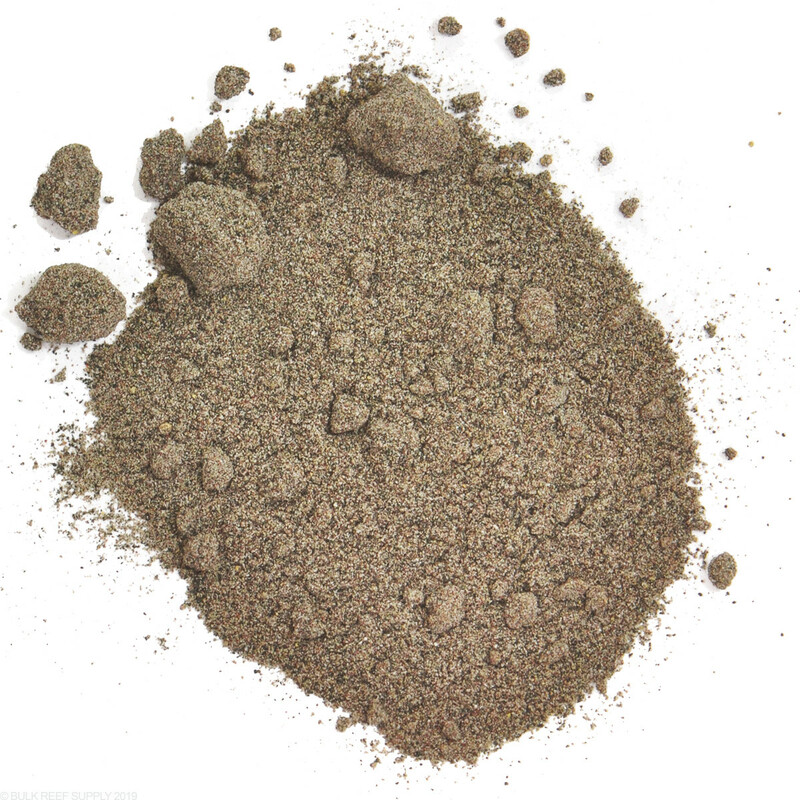 PhytoPlan may be used as food for filter feeding invertebrates and as a supplement to enrich the nutritional value of dried and frozen fish foods, or live Artemia. Rich in vitamins, trace elements, amino acids, and highly unsaturated fatty acids. I've been using the TLF Phytoplan for a couple of years. Between it and the TLF Zooplan my filter feeders and corals are doing really well. Used to spend a fortune buying live phyto that expires quickly. More economical and still effective to feed my clams and other filter feeders with PhytoPlan! You get a small container of food, but it goes a long way. 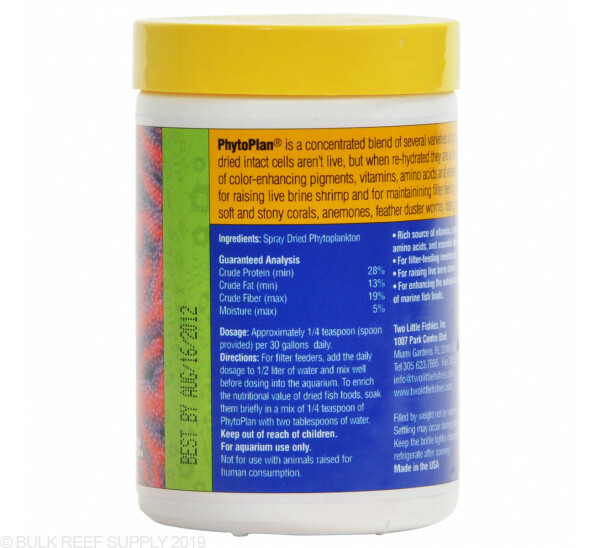 Phyto is very useful for detrivores, copepods, and other beneficial reef animals. 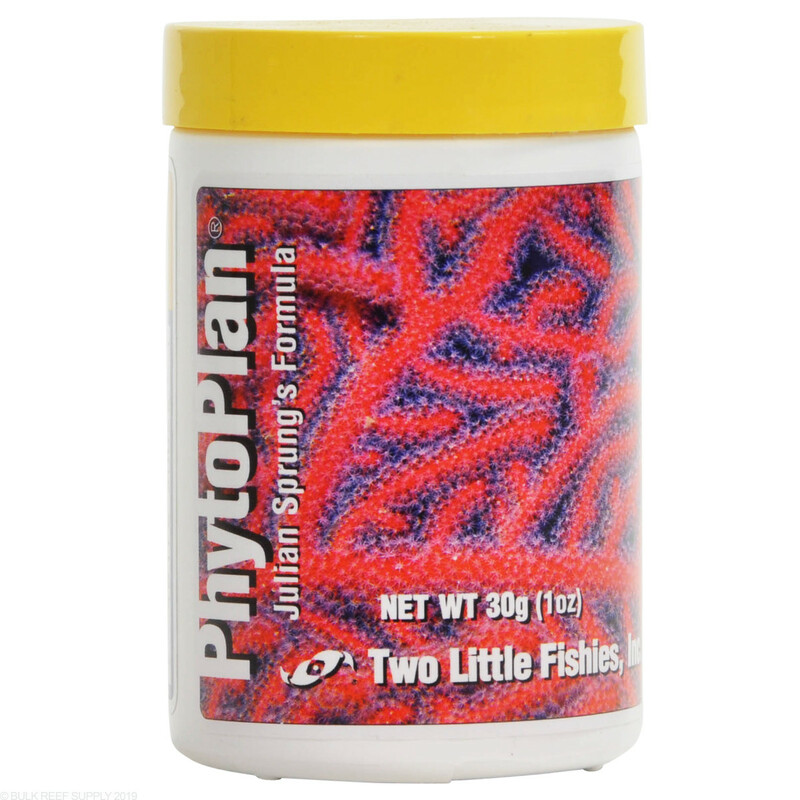 I would recommend Two Little Fishies products, as well as DT's phyto for your reef aquarium. good product. much more price effective than buying live or frozen phyto! !